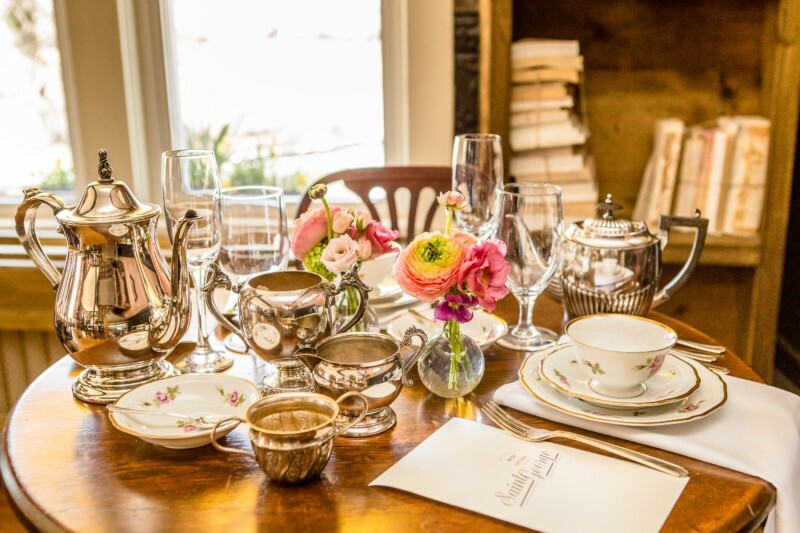 Join us for tea in the Guest Cottage, a charming, intimate space adjacent to the mansion. The room will be decorated with flowers, fine china, and silver teapots from Seasons On The Hudson. You will be greeted with a glass of sparkling wine, generously donated by My Sherry &more. The menu will include tea sandwiches, canapés, dessert and Teagevity tea, courtesy of Saint George Bistro. $150 includes food, a glass of sparkling wine, tea, and gratuity, as well as entry to the Lyndhurst Spring Blossoms Flower Show. Guests will take home a lovely individual arrangement by Seasons On The Hudson. $100 of the ticket is a donation to the Lyndhurst Rose Garden. All guests check-in at the Lyndhurst Welcome Center at least 30 minutes before the High Tea reservation in the Cottage. Please allow at least 3 hours for the entire experience (flower show and tea). If selecting a 1:30 p.m. or 2:00 p.m. reservation, please note that the flower show closes at 5:00 p.m. We suggest arriving an hour early to tour the mansion before your tea reservation.